“My experience of art school in Glasgow, where I studied, was that in the end, people didn’t really get what I did. I think that they thought I was doing something inappropriate, or maybe that I wasn’t a serious artist. I left with quite a poor mark, the kind of mark you get for turning up. I didn’t get the mark that you get if you’re actually talented”. As far as the Stick is concerned, I agree with his teachers. There were a few items that I did appreciate more and one in particular that resonated with me. 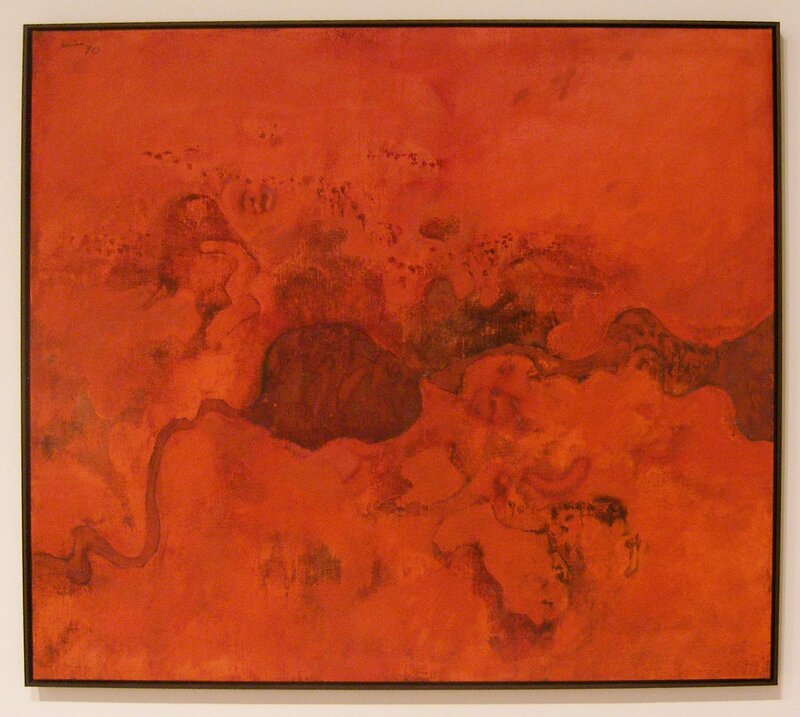 This was Maralinga by Lin Onus. This sculpture really called to me with its expressiveness and the emotion that exudes from it, and was one of the few items that I photographed. There was no explanation of the artwork in the gallery so it wasn’t until returning home that I was able to look up the meaning behind it. 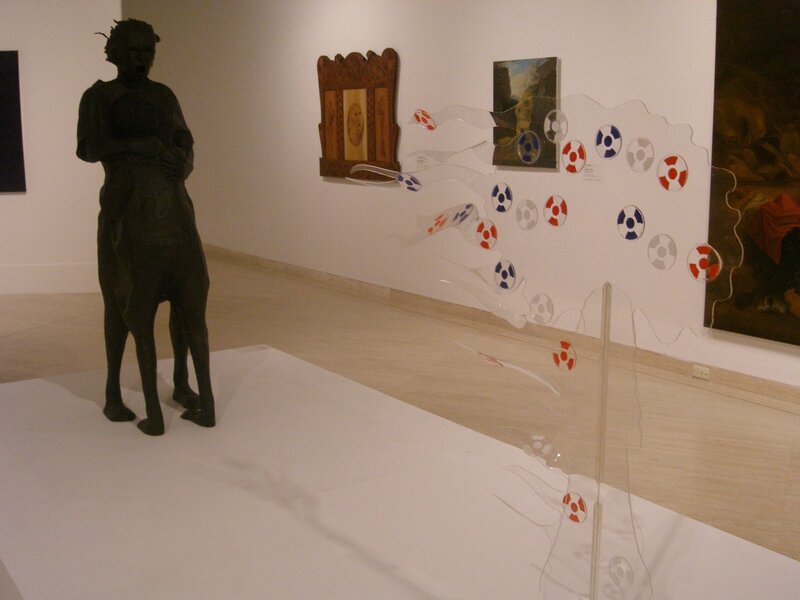 The work is actually about the atomic tests that were carried out at Maralinga to the disregard of the indigenous population. The following explanation is from the http://www.aboriginal-art.de. “The face of the mother, who protects the child in her arms from the invisible atomic cloud, is distorted by a grimace of horror and fear; the hair and clothes of the figures stream in the storm of the nuclear explosion; they stand alone and defenseless. The symbols for radioactivity, which adhere to the cloud, are shown in the colours of the British flag: blue, red and white. They become the colours of death. This emotionally loaded installation is directed against the disdain and contempt shown to the Indigenous Australians; the British and Australian governments were indifferent to the potential death or sickness of Indigenous people remaining in the area. The artwork shows not the event, but the human tragedy. It is thus an artwork of protest and not of historiography”. 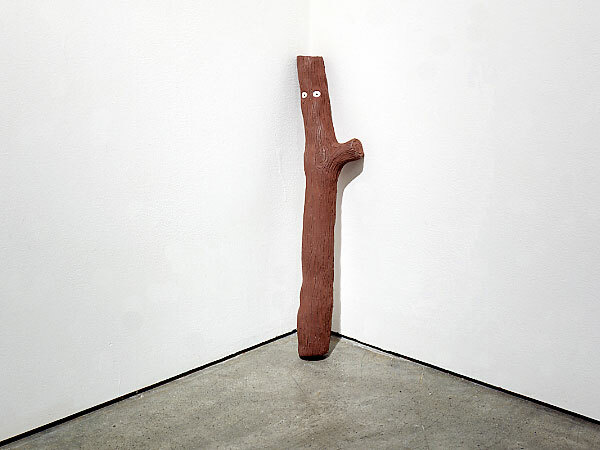 The juxtaposition of Maralinga against Stick, displayed in the same room of the art gallery was a huge contrast. I was part way through my colour studies when I visited the art gallery, and was drawn to look at Northern Landscape by Robert Juniper because of the limited use of colour. This view is painted as if from looking down from an aircraft and it really captures that drama of the landscapes and amazing depth of colour in the outback. 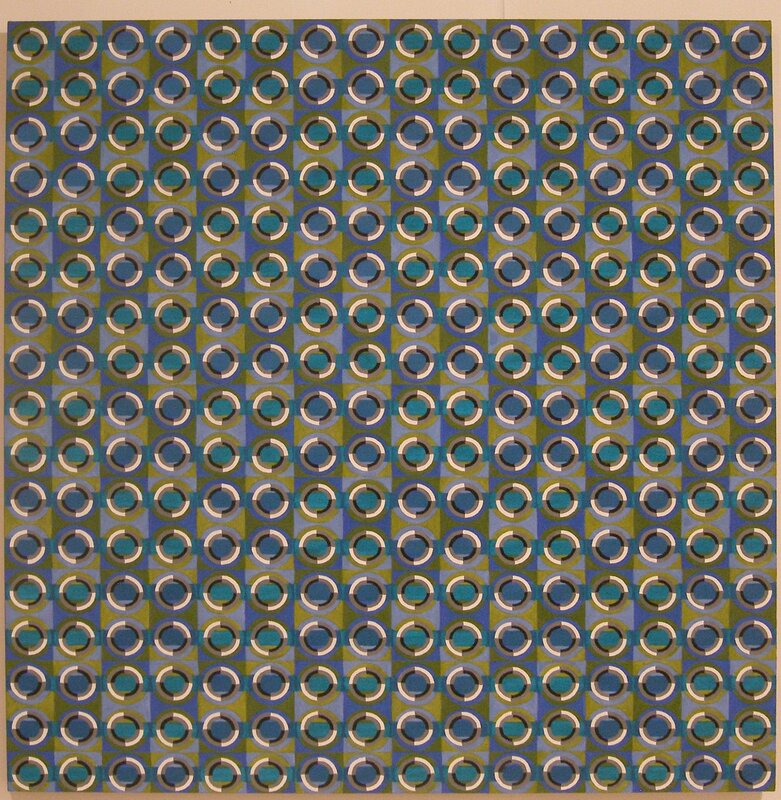 I was drawn to this piece because of the deceptively simple use of repeating pattern and colour that still produces a visual depth. If looked at through partially closed eyes or squinting then different patterns come to the foreground.